The security of your assets is paramount for JMD Ross private clients.  The security of your assets is paramount for JMD Ross Private Clients, a specialised unit within JMD Ross Insurance Brokers. The JMD Ross expertise draws on more than 35 years of dedicated and discreet service to those with significant assets. Our success in building lifetime relationships rests on establishing trust as the foundation. Our holistic approach ensures we take time to understand your lifestyle, explain your options, and deliver tailored, innovative outcomes that best suit you and your family. We are a firm whose fiduciary responsibility is always to our clients. We understand that commoditised, self-directed insurance is materially inadequate for our clients. Our bespoke insurance programs and experience-based advice will give you peace of mind in knowing at the outset how your policy will respond in the event of a claim. JMD Ross understands that significant wealth brings a different set of responsibilities to families. Our depth of experience and ownership structure underpins the foundations of advice and discrete service. We understand risk and can discuss your options for mitigation and ongoing management to ensure your assets and professional liabilities are adequately covered. Our traditional, relationship-based culture rests on our fiduciary duty to our clients. We are here to serve you. We provide access to well-capitalised, global insurance companies that understand your unique needs. To learn more contact us or inquire below.